In the words of engineer and professor Henry Petroski, “Science is about knowing; engineering is about doing.” Engineers are innovators and professional problem solvers who have the tough job of making things work. Whether it’s providing access to clean water or reducing the carbon footprint in manufacturing, engineers have used their skills to solve some of the world’s biggest problems. As program leader, you have an opportunity to spark students’ interest in engineering with fun and engaging activities. Kids are natural-born engineers – their heightened curiosity leads to exploration and wonder, and in turn, results in learning. And providing engineering activities can teach students to use their creativity and thinking skills to solve problems. Before starting any engineering activity, it’s important for students to understand the engineering design process. According to Teach Engineering, the process is a series of steps that guide engineers as they solve problems. 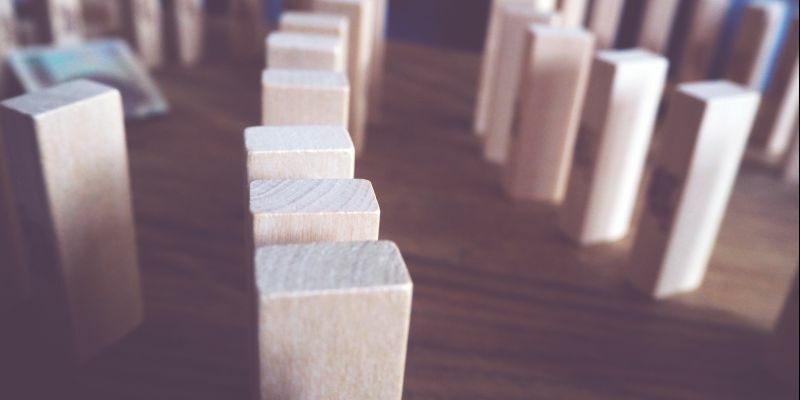 It’s also important to note that the process is iterative, meaning that it’s necessary to learn from failure - repeating steps and making improvements to arrive at great solutions. 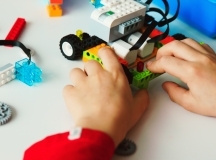 Use the activities below to incorporate engineering into your after school program. 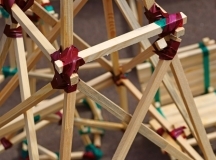 As students complete the activities, be sure to reinforce the engineering design process to guide them as they build their projects. For this project, students are challenged to put on their engineer hat and construct a cork launcher. As they complete the activity, they will explore various design options to try to launch the cork the farthest. Using a few craft supplies (listed below), students can build a launcher that fires at least 10 feet! Visit Instructables for full activity details. 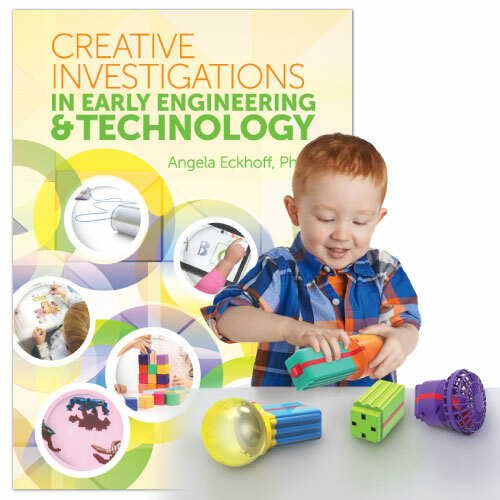 Young engineers can explore the basic principles of physics and engineering as they construct intricate ball-track structures. 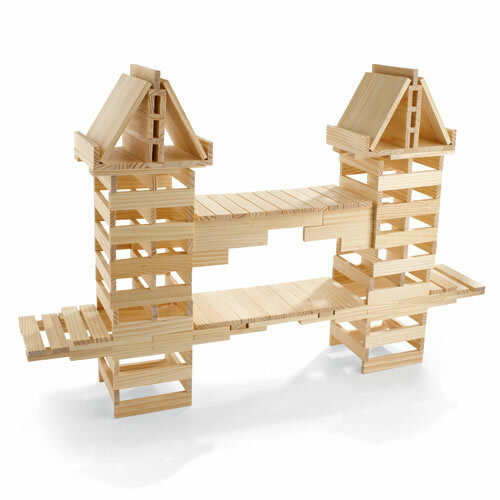 Containing 200 identical wooden planks, KEVA Contraptions challenges students to build tunnels, towers, ramps and chutes while teaching them to embrace creativity and experimentation. Even better, there’s no glue or no connectors - just tons of constructive fun! Building this craft-stick mouse trap is a great way to introduce your students to engineering. The project emulates the same mechanism that is used in a real mouse trap and, similar to the cork launcher, involves a trigger that sets the trap in motion. While the setup is simple, building a realistic mousetrap takes time and patience. So encourage students to think like an engineer, and keep modifying until they build a mousetrap that works! See Instructables for full project instructions. 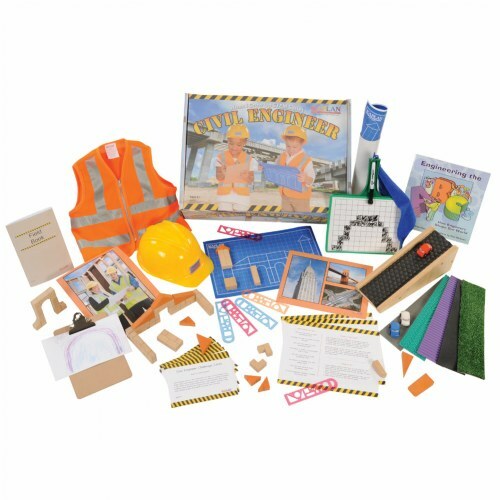 Civil engineers work on the infrastructure of cities, and this Civil Engineer STEM kit gives students an opportunity to build, analyze and revise multiple civil engineering projects and ideas. Students can also review blueprints to evaluate the efficiency of different building materials, create new concepts and plan effective designs. The kit includes an incline block ramp, a mini unit brick building set, a skyscraper blueprint and much more! 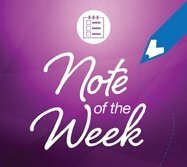 Students may not be familiar with what a civil engineer does, so be sure to have a discussion before starting the activity. Have students design a car that is powered by a rubber band. 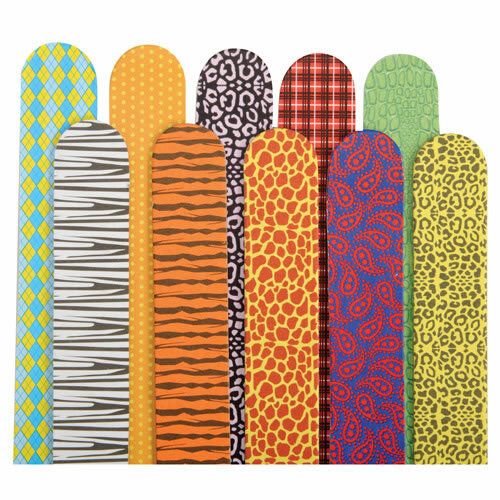 Using simple supplies (listed below), students will explore potential and kinetic energy, and will test different methods to make their cars go fast. You can create even more fun by having a rubber-band car race! Visit PBS Kids to see how it’s done. Designed by engineers for budding engineers, this propellers set is a great way to spark students’ creativity and imagination. 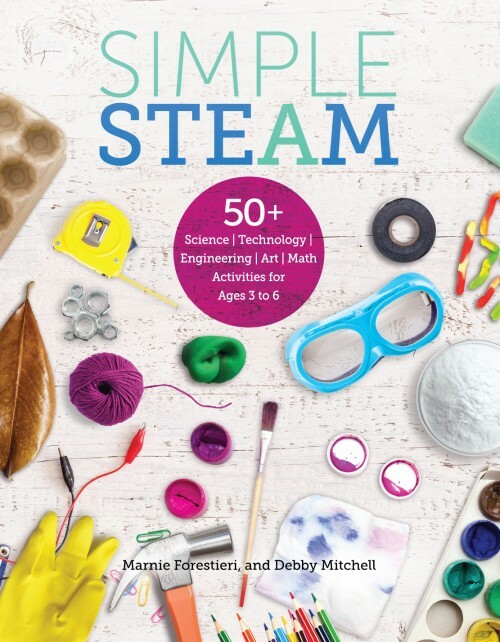 With 10 engineering challenges that encourage exploration and problem solving, students can make a Chopper, a Biplane, a Windmill, and a Plane, or use their imagination to build something of their own. Even more, these challenges are designed to stimulate open-minded creativity, which is a fundamental aspect of engineering. 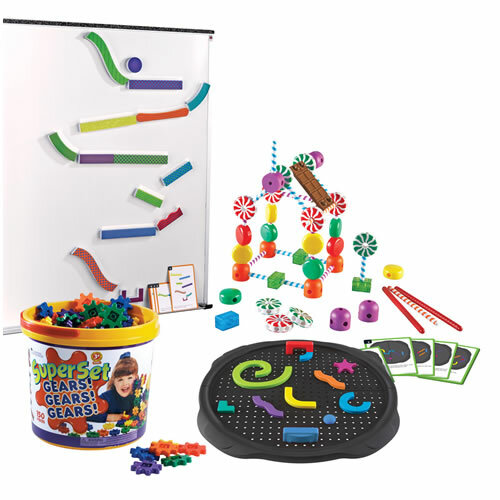 And in addition to supporting STEM skills, this activity kit also promotes spatial and sequential reasoning, beginning physics and executive function. Give your students a chance to explore engineering in a fun and challenging way. With the activities above, your budding engineers will develop a lifetime interest in engineering and creative problem solving.